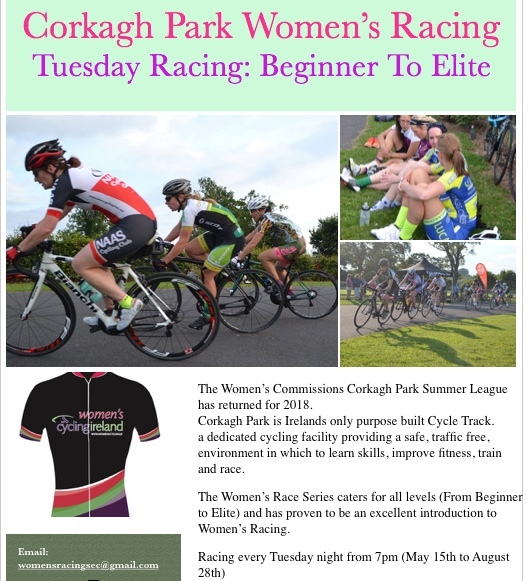 The Women’s Corkagh Park Summer League has returned for 2018. Corkagh Park is Irelands only purpose built Cycle Track. It is a dedicated cycling facility providing a safe, traffic free, environment in which to learn skills, improve fitness, train and race. The Womens Commissions very popular Race Series caters for all levels (From Beginner to Elite) .